N.B. Free Delivery: Due to it's size delivery is FOC Dublin only Delivery, anywhere else in Ireland, will necessitate a Euro 45 delivery cost. If you live in Dublin we will refund the Euro 45 delivery charge to your credit card on ordering. We do not deliver this item outside of Ireland. 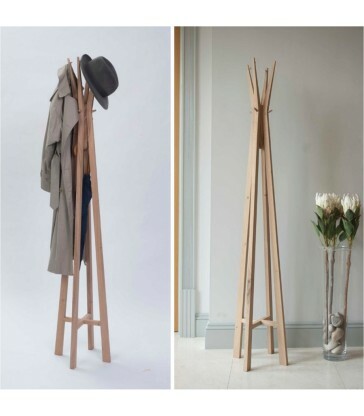 An elegant and striking coat stand. Looks good with or without coats! 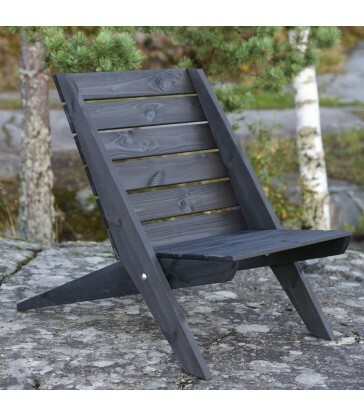 A dark black stained timber chair perfect for sitting out in your garden on long summer evenings. 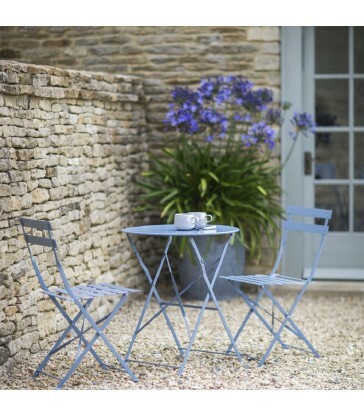 Its wide base and reclining back make it ideal for whiling away on an hour or two in peace and comfort. It comes pre assembled and easily folds up for storage. 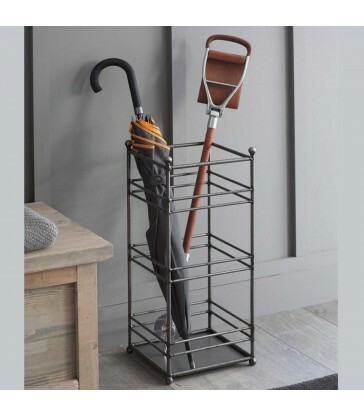 A modern industrial style umbrella stand. Designed to be space efficient, this umbrella storage is perfect for any urban (or country) home. And its not just for umbrellas, perfect to store stray hockey sticks too! An ideal new home gift for someone who appreciates the practical. A steel welly stand. 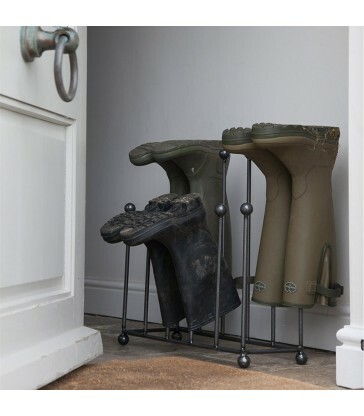 A great piece of home storage to keep all your muddy wellington boots in order. Perfect to sit just inside your front door to stop everyone tracking their mud inside. Another great piece of practical home storage from the blue door. 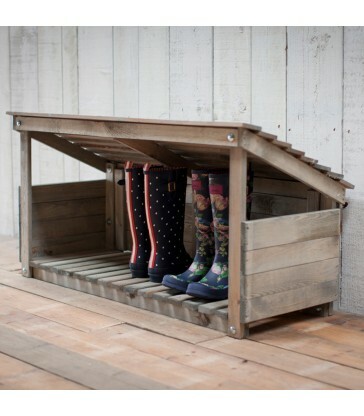 A rustic style welly and shoe storage crate. With one tall section on the left, perfect for storing your welly's. And two shorter sections to the right which can store shoes and short boots. Its vintage style will add character to any home. It has wheels underneath so it easily movable and if you want you can remove these. Not suitable for sitting on.